Reflecting… Ten years ago I gave up my house and my law practice so that I could go where I was needed to help bring about the change I wished to see in the legal profession and the world. My permanent address became a mailbox. My hopes, in the beginning, were that the Cutting Edge Law website would help me to find, connect, and support those who were bringing about a more conscious legal system. I was ahead of my time. Lawyers had not yet adopted the technological skills or interest to participate in most of the features of the site. I had hoped that it would be a more lucrative journey. 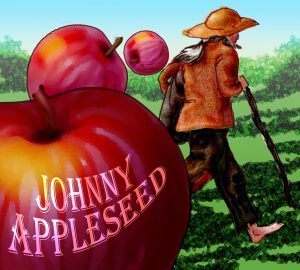 I soon discovered that being on the cutting edge, ahead of the crowd, I was more like a Johnny Appleseed, planting seeds. Over time, with some care and attention, the seeds I planted took root and began to flourish. As a community grew, others stepped up. It’s the way trailblazing seems to go: after the new ideas are embraced by early adopters, a market begins to develop and many more providers come in to fill the needs. The reward for the trailblazers is in seeing their ideas taking hold and the changes begin to reach the mainstream. Immensely fulfilling? Yes. Financially lucrative? No. I also reflected on a term from my early days in economics: opportunity cost. I realized that I have been a full-time philanthropist for ten years. More reflecting… How much is ten years of me worth? A long time before I gave up my house, I was spending a lot of time on extracurricular activities. In my early years of law practice, unpaid time was spent with my family and given to pro bono and volunteer work for domestic violence causes, homeless teenagers, inclusivity, mentoring law students, and other social purposes. That significantly impacted my income. I wasn’t a rich lawyer, by any measures. Still, I earned a living, bought a nice house, car, covered all my needs and some of my wants. Robert Half Legal, a consulting firm, suggests that an average lawyer of my experience earns $136,000 to $236,000 a year. Even allowing that earnings are lower for those practicing in a small town, it is easily arguable that ten years of my time could be valued at a million dollars. In addition to foregoing income from law practice, I have taken the income I’ve earned from coaching and training and reinvested virtually all of it into activities that are intended for a social purpose. I’ve accumulated some debt along the way. Combined, my gift to this movement may be more like $1.5 million. Meanwhile, I have minimized my life to the point that I own almost nothing. When I left the house behind, I hoped to get a pay out from its sale, but it was not to be as my ex squandered the equity and let it go into foreclosure. The car came to a more natural end when someone ran a red light and totalled it. This ‘traveling-light-lack-of-possessions’ has served the growth of the Integrative Law movement well and is befitting a nomad but it’s not sustainable for my next decade. As the seeds of the legal movement have sprouted, taken root in some places, and are flourishing in others, it is a different time now. Many of my allies are making careers out of these new markets. I’m reflecting on what is next for me and the movement now that it has reached a different level.